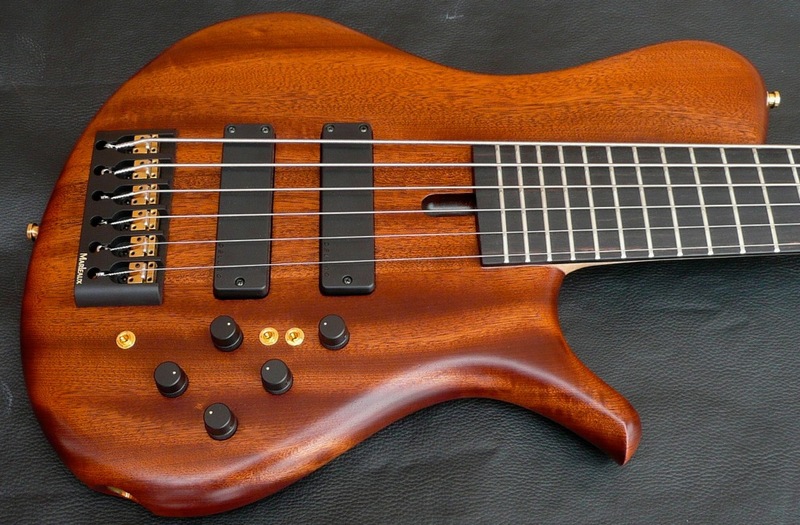 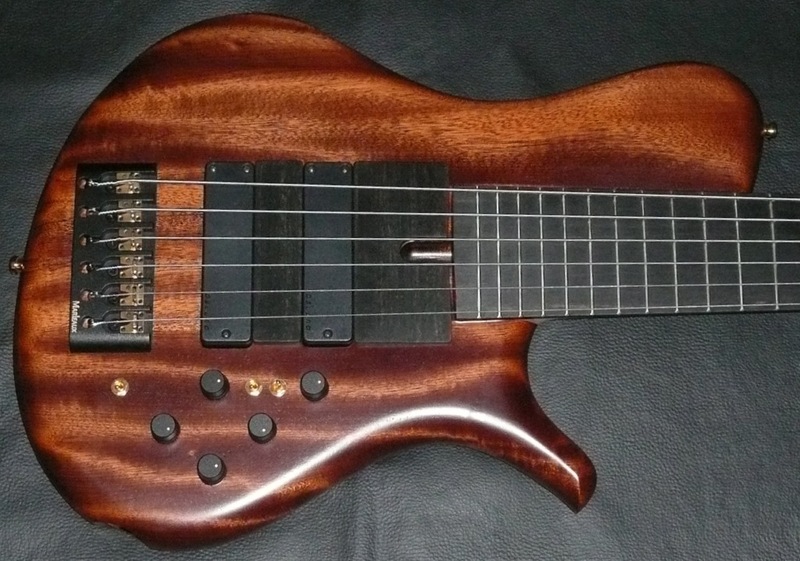 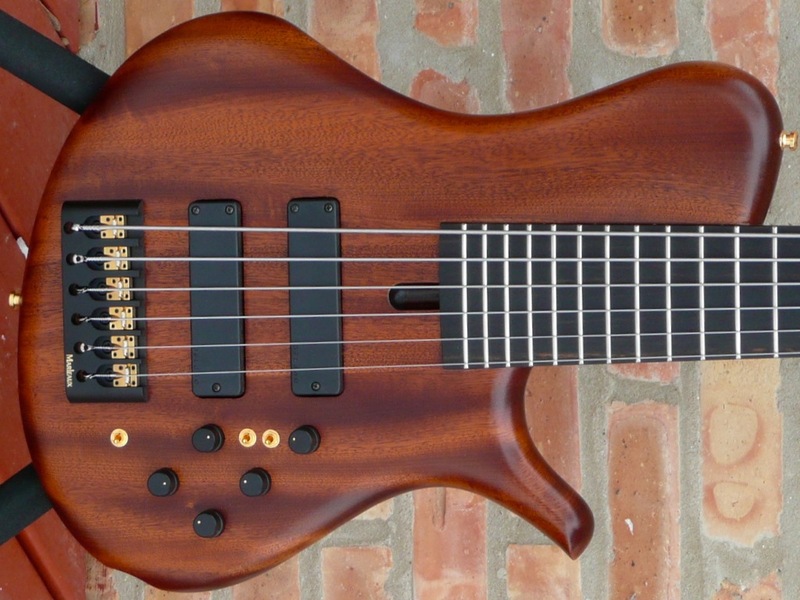 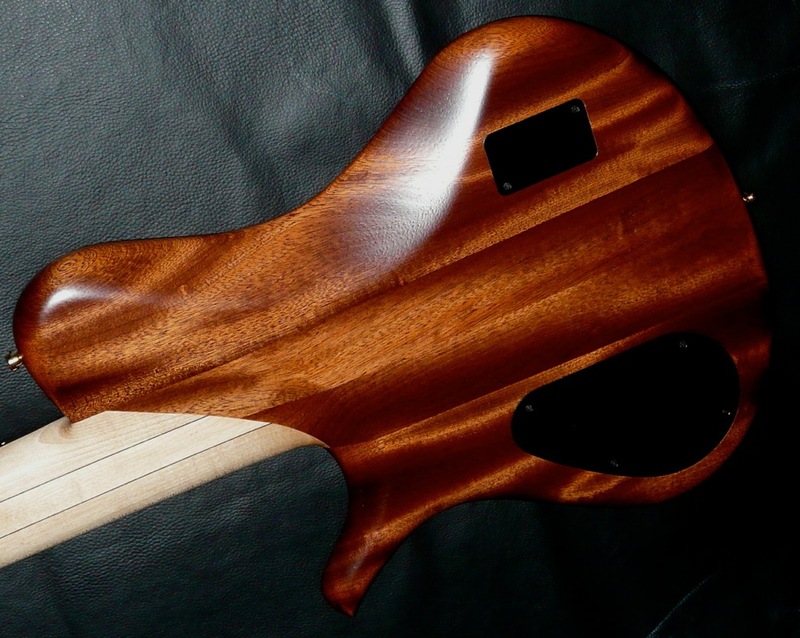 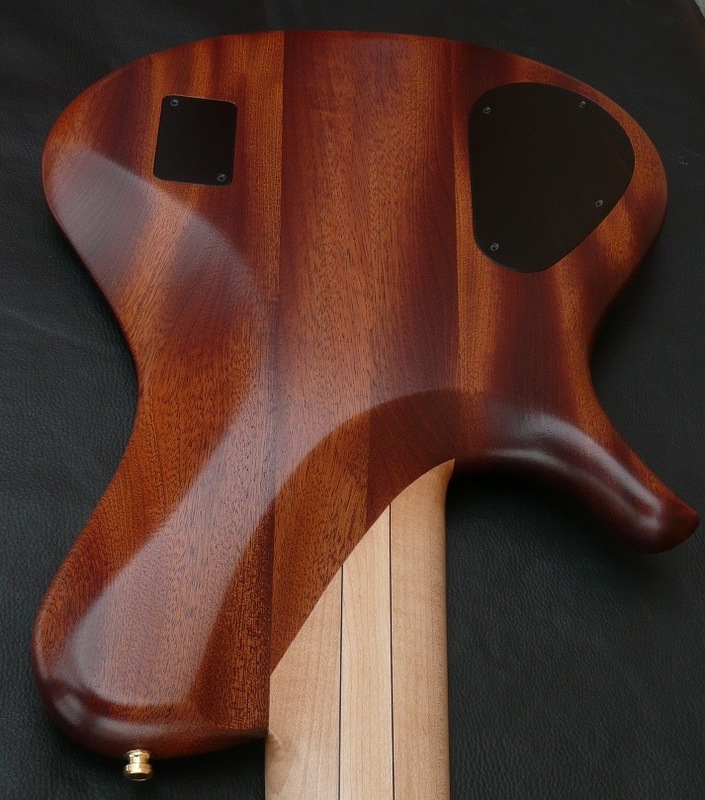 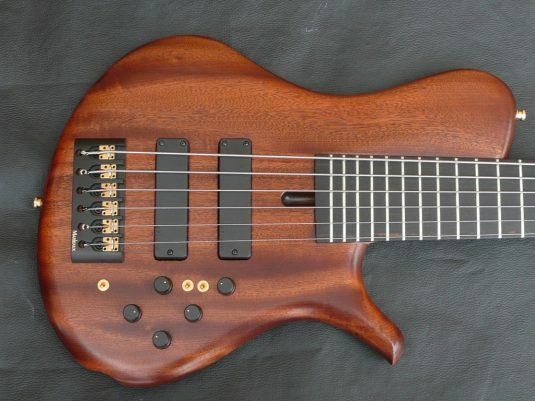 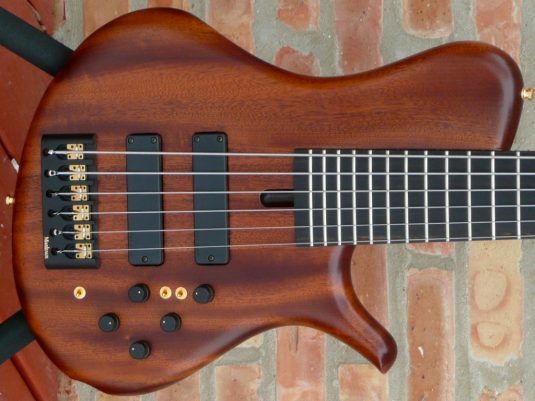 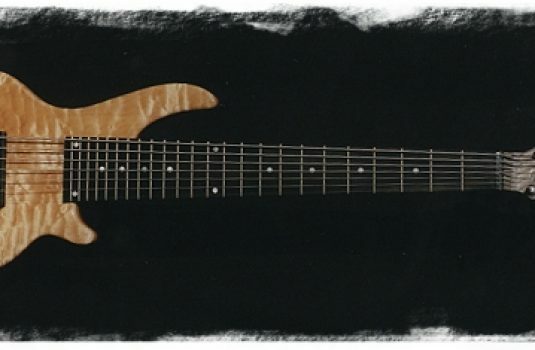 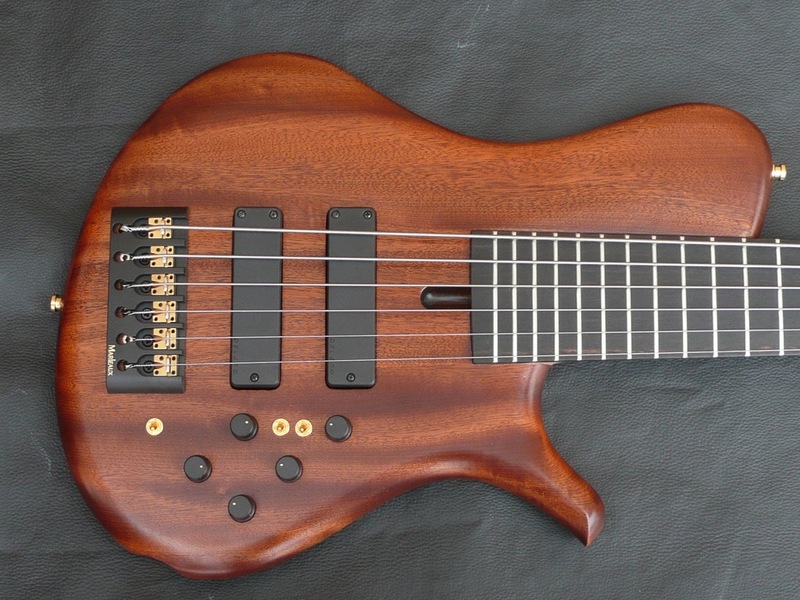 This bass was ordered especially for the NAMM 2014 show , to my specs. 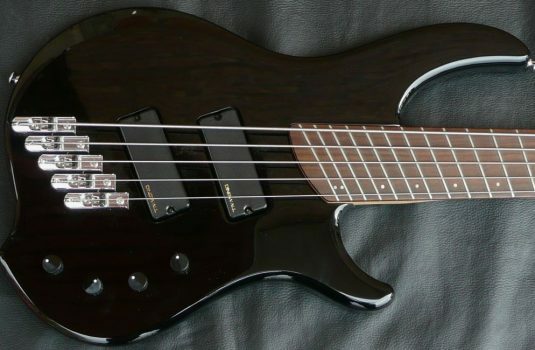 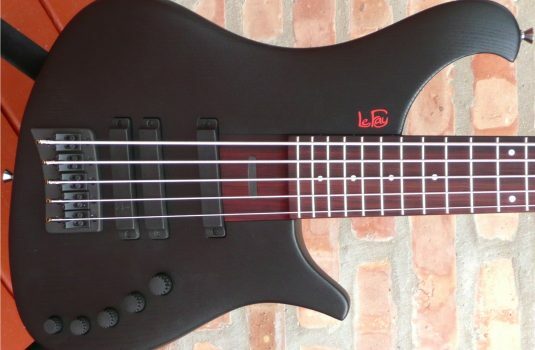 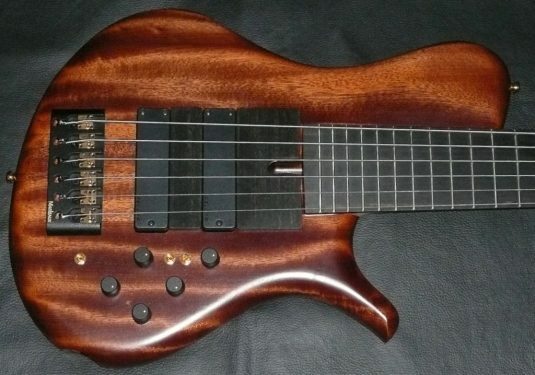 I was looking for a bass that would be a little easier to play ( 33″ scale ) and be great with a low B or low E tuning. 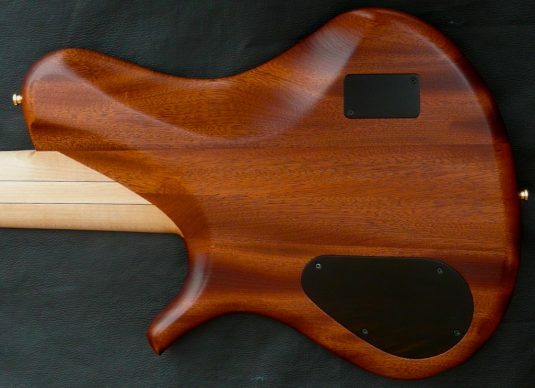 No top, just some nicely figured Mahogany, with a chambered body for added acousticity = rich overtones and very well balanced fundamentals. 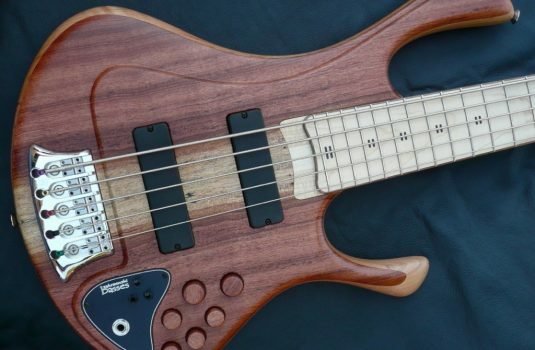 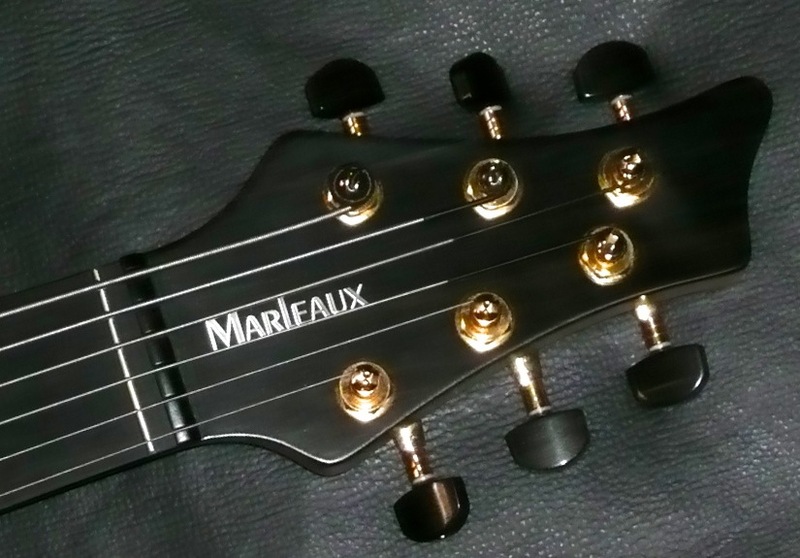 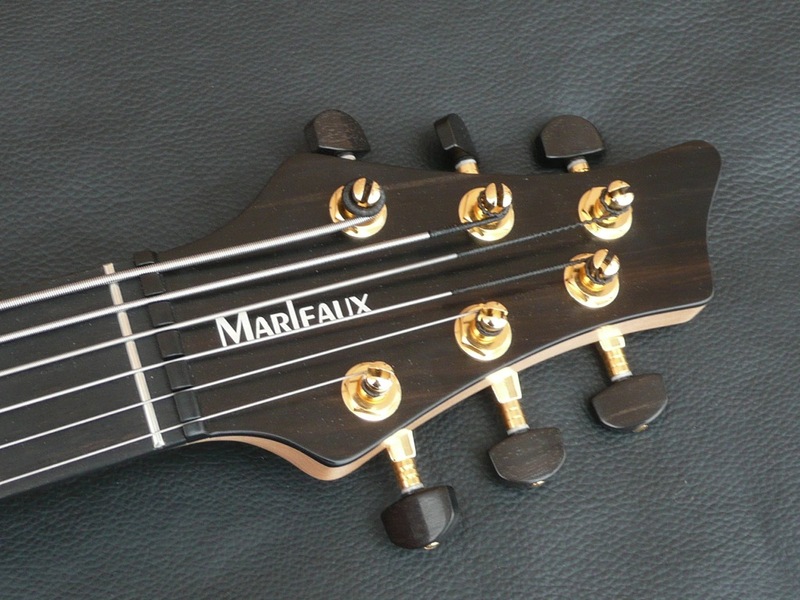 Not surprisingly, Gerald Marleaux delivered what I was looking for – this bass is SO sweet in voice, roll off the highs and favor the neck pickup for a jazz guitar experience, or open the EQ , balance the pickups as you like for a fantastic electric bass tone. 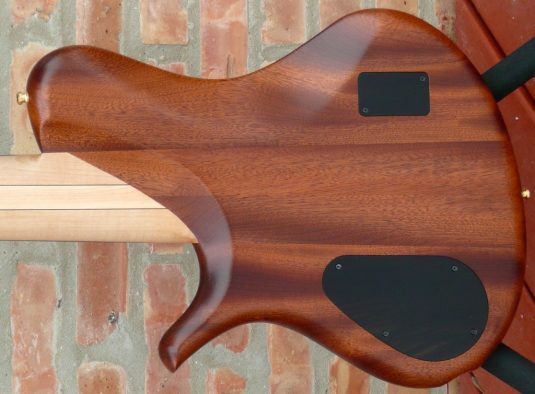 This is a used bass in excellent condition. 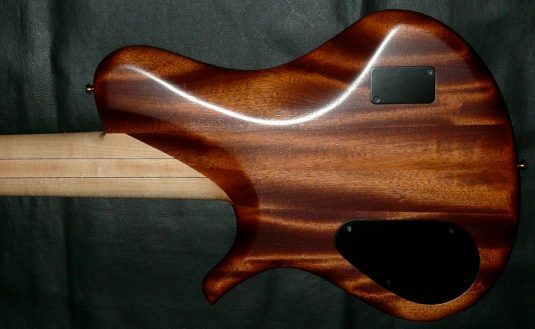 An easy player among the 6s in the bass world.